BREXIT: What's next for pharma? The pharmaceutical industry is one of the largest contributing industries to the UK’s balance of trade, and the UK Nation Health Service (NHS) is the fifth largest employer in the world. Although the process of exit for the UK from the EU has now to be triggered by invoking article 50, the post-Brexit calendar is a firestorm of uncertainty. The uncertainty could potentially have a chilling effect on global pharma investment in the UK, but are the issues that will impact Pharma - a jewel in the crown of UKPLC - being heard in Westminster - and Brussels? 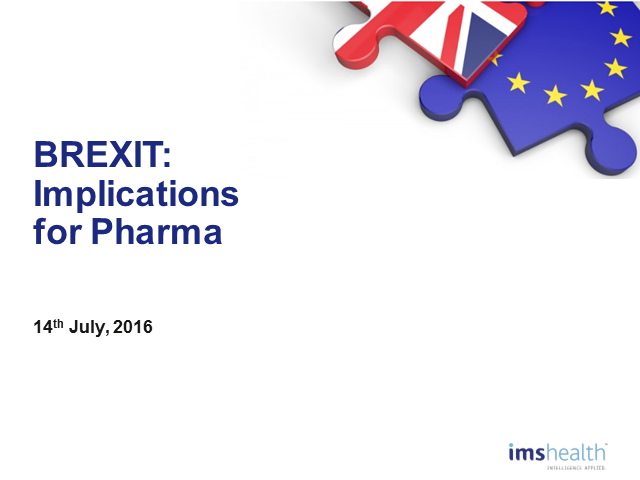 Title: BREXIT: What's next for pharma?